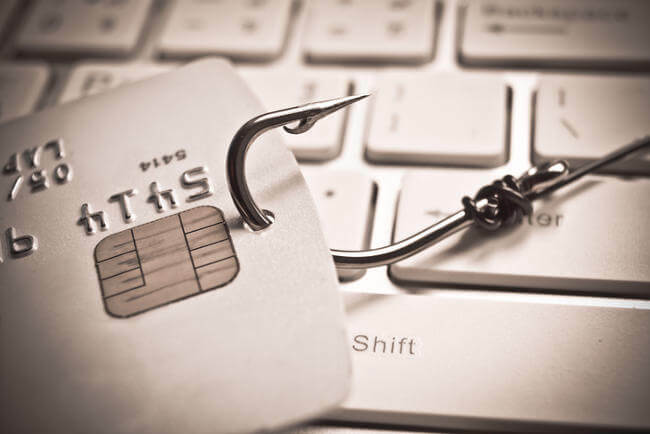 What is Phishing, and is it Dangerous? Of all the common cyberattacks we see, phishing is perhaps the most dangerous because there is no single, foolproof way to prevent it. Rather than ask, “What is phishing?” after you’ve already fallen victim, learn to stay ahead of the hackers. Phishing is a type of scam in which an attacker attempts to gain a victim’s login credentials or account information by pretending to be a legitimate person or organization. Attacks are most often conducted via email, social media and even phone calls, but malware is also commonly used. You may receive an email from someone claiming to be a representative of your bank, who says they urgently need your account information because there’s been suspicious activity involving your credit card. The email looks totally legitimate, complete with logos, a company email and more. So you give them your information. In reality, there was never any suspicious activity on your account. The person who contacted you was a fraudster, and now they have your financial information and can do with it what they please. Alternatively, you may get a message that looks equally authentic, but urges you to visit a link or open an attachment, rather than reply with your personal information. As soon as you click that link or attachment, your device will be infected with some form of malware that steals data related to your identity. This is known as a spoof. “Spear phishing” attacks can be either of the scams above, but they target specific individuals, rather than a large, random group of people, like most attacks. As a result, they’re usually very well-researched, using detailed background information relevant to the target to appear more realistic. We’ve answered the question “what is phishing?” Now it’s time to talk about preventing it. Cybercriminals are becoming increasingly sophisticated, but many of them are still amateurs. Any message that contains a bunch of typos or substitutes numbers for letters (l1k3 th1s) should be reported then ignored. Since cybercriminals are constantly concocting new ways to scam innocent people, software companies must update their products to keep up. Always make sure your browser, antivirus and operating system are up-to-date. Almost no organization will ever contact you soliciting personal or financial information. Not retailers, not your bank, not the government. If you receive a suspicious request that looks so legitimate it makes you think twice, look deeper into it. Google whether other people have had similar experiences. Visit the organization’s website and either call or email them to make sure everything checks out. If it’s someone you know personally who emails you requesting information, speak to them on the phone to confirm. We hope the question “what is phishing?” has been thoroughly answered. Just remember, there’s no single way to completely avoid them, so keep your wits about you at all times.